Hovercraft have a very light footprint, and can gain access to areas impossible to reach by boat or other transport. Hovercraft can fly over any flat surface, and do not have propellers to get snagged or damaged on under water obstacles or marine life such as manatees and sea turtles. Hovercraft fly above the surface so ride over shallow fast running water. There are many areas in the world where people cannot walk for fear of death or risk of serious harm. A hovercraft can be fitted with GPS mapping software and survey equipment to detect UXO far more quickly than would be possible by conventional detection methods. 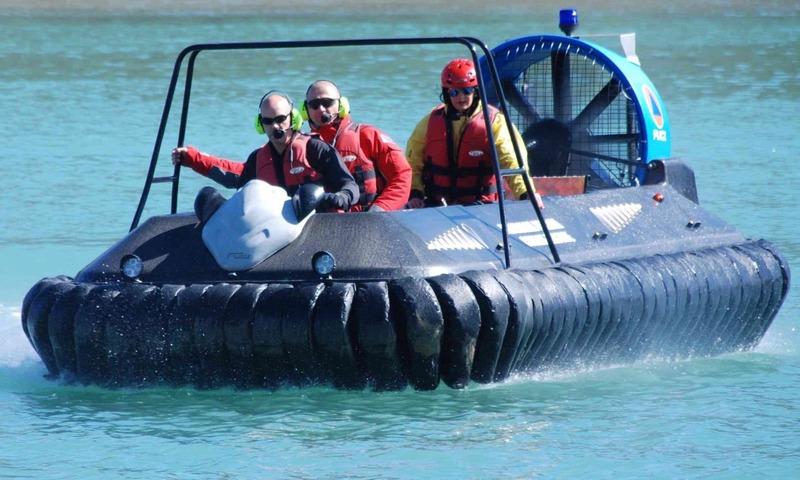 We have supplied hovercraft to contractors who were able to identify UXO more quickly, providing them with a competitive edge during tender applications, helping them to win more business. In post conflict areas, huge areas need to be made safe for repair of infrastructure, installation of pipe lines and power lines. Hovercraft are able to scan large areas to detect sub terrain features to speed up archaeological site mapping, to protect sites from treasure seekers. How to reach areas to take sand and mud samples – why by hovercraft ofcourse!